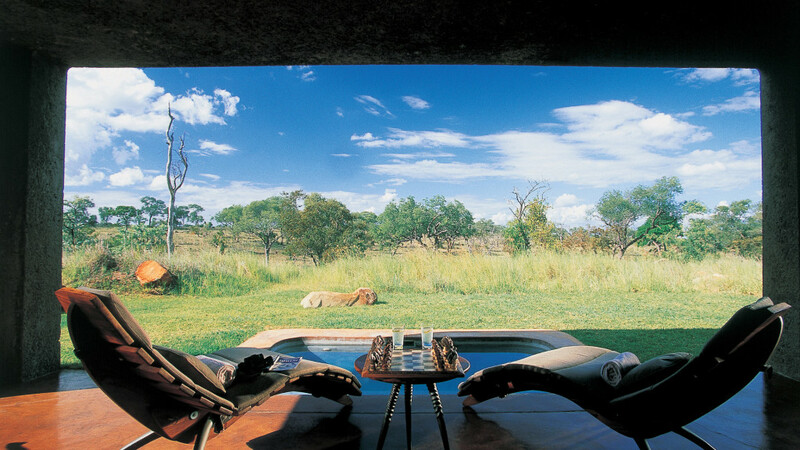 Minimalist opulence probably best describes the accommodation experience at Earth Lodge. 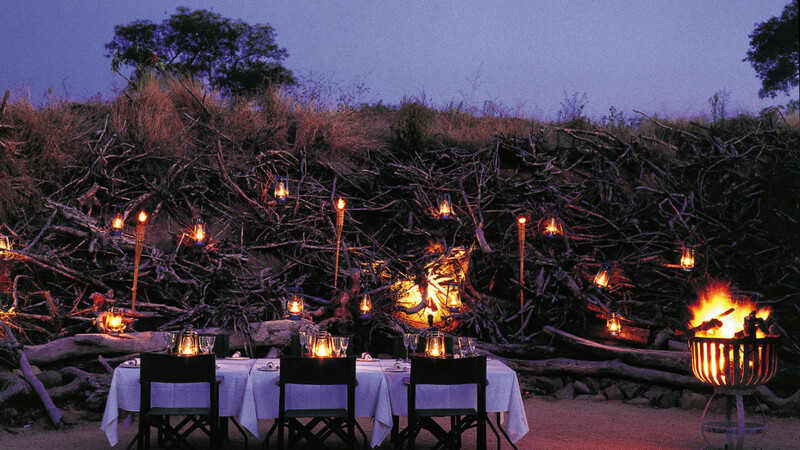 This is also reflected in the price for staying here. 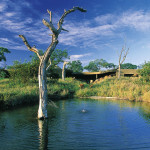 The entire location has been designed to be almost obscured from the surrounding bush cleverly using a combination of natural materials in the building process. 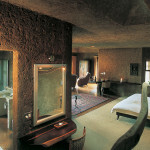 Each of the 13 suites are exceptionally private and large and although air-conditioned they feel naturally cool. 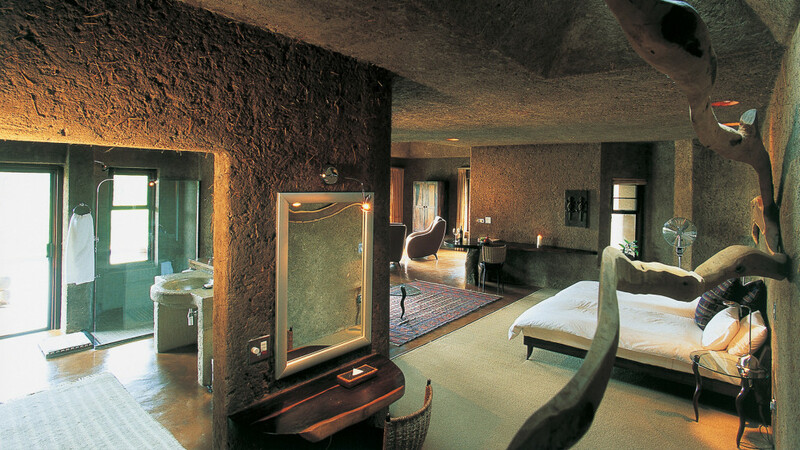 The bathroom is a feature with a large bath and equally sizeable shower complimented by an extravagant private outside shower. 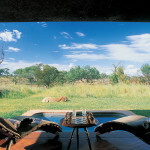 Each room has a large living area and a tiled patio leading onto a welcome, cooling splash pool and a view of the nearby waterhole. 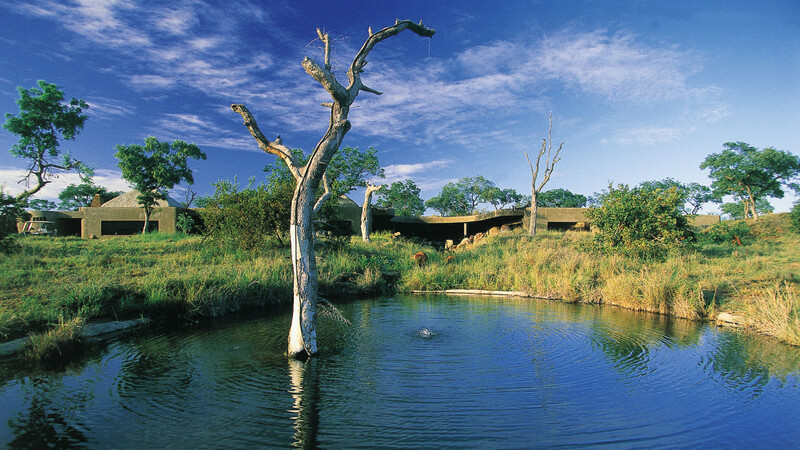 You are well aware of being right in the bush with the sound of exotic birds and hippos grunting breaking the unique silence of the African bush. 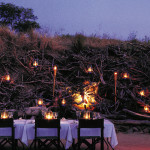 There are two game drives a day into the surrounding Sabi Sands Reserve that is part of the Kruger Park. 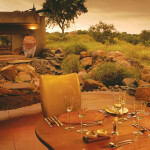 The reserve has some of the best game viewing in the Kruger area with frequent sightings of all the predators. 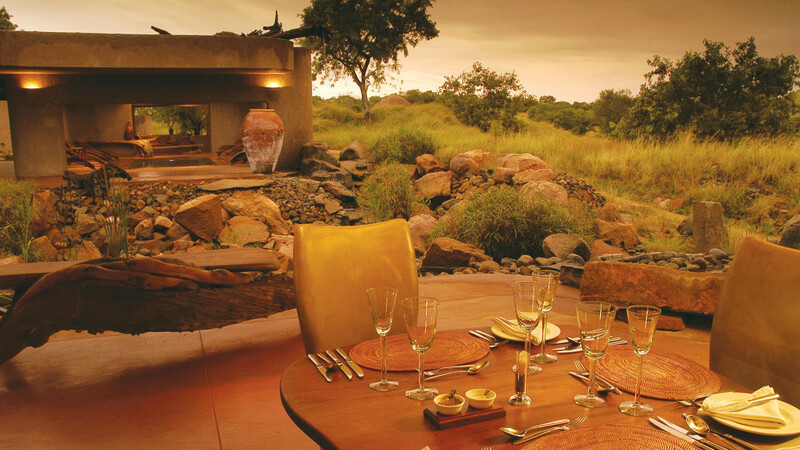 When you are not seeing game, you can be pampered in the lodge’s popular Wellness Centre – but be sure to book your treatment well in advance! 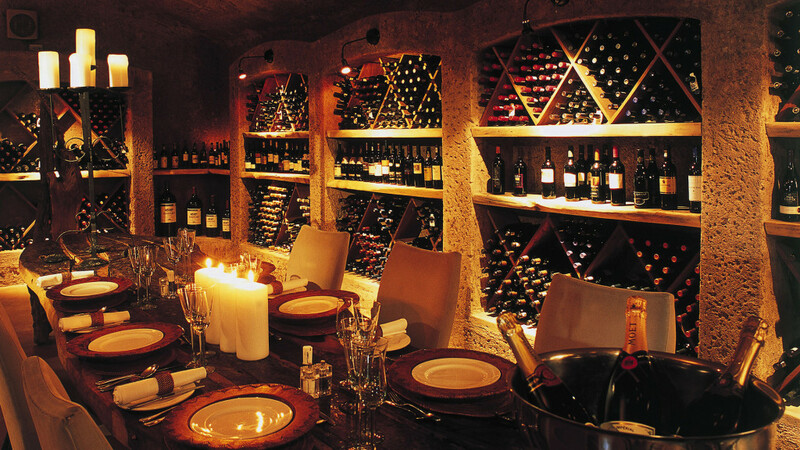 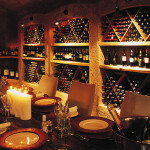 The food and wine matches the lodge’s reputation as one of the top game lodges in South Africa.